It’s one thing to know about honeybees’ role in our lives—pollinating flowers and the plants that produce our food—as well as their populations declining, but it’s another thing to understand how a honeybee colony’s hive actually works because in its own way, a hive is an organism of sorts, with thousands of individual parts working together like an engine. Each bee has its own job within the hive, but the overall goal is the same—keep the hive alive by keeping it healthy, making honey, and reproducing more honeybees. While a “domesticated” honeybee box may look outwardly serene, with a few bees at the entrance or a few flying lazily around, each of the likely 90,000 bees inside are hitting the pavement and accomplishing their tasks, with beekeeper Janet Williams saying those bees were born knowing exactly what their job was to ensure the hive’s survival. “Everything is about the queen,” Williams said. 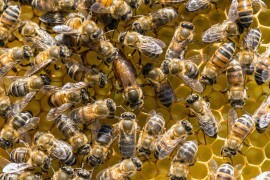 “Worker bees, which are all female, know their job is to keep the queen well fed and protected and make honey.” This queen, who is fed royal jelly as an egg, a larva, and until her death, replaces the previous, now-dead queen by hatching and taking her “maiden flight” to mate with the male drones—this happens once in her lifetime (four years), and upon her return, she carries millions of fertilized eggs that she lays at a rate of 1,500 per day. With the queen at the top, a hive is a matriarchal society in which drones are used for the one purpose of fertilizing eggs, after which they are forced from the hive to allow room for more generations of bees. 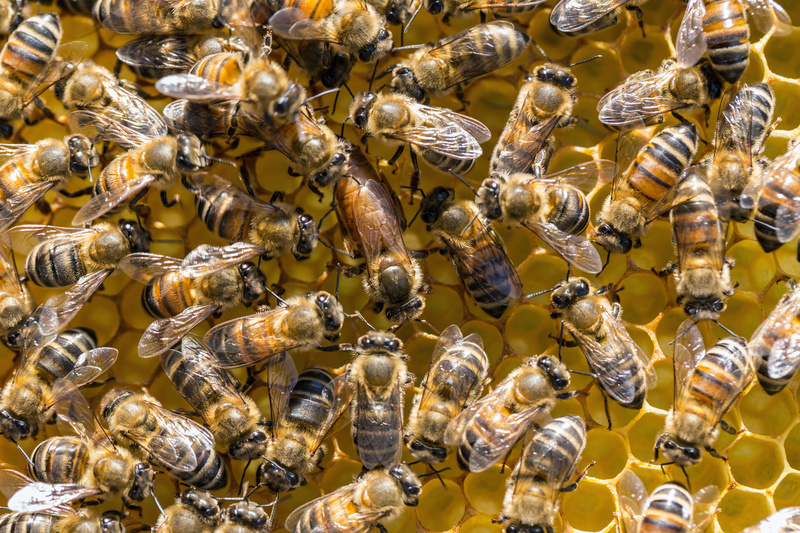 The worker bees take on a variety of roles within the hive’s order, according to Williams, such as “nursey workers” who “take care of the larvae and other newly hatched bees.” Other bees create hexagon cells where the queen lays eggs while also cleaning the cells. Other workers feed, groom, and protect the queen and ventilate the hive to keep it at 90 degrees F. There are also guards who kill intruders before or after they enter the hive. These activities go on every day throughout summer, though in winter the hive shifts gears. The queen lays few eggs, if any, and worker bees keep her fed on summer stores and warm by circling her and rotating themselves in and out of the cold. Many of the bees don’t survive winter, but those who do wait for the wildflowers to bloom, signaling another season of hard work and eusocial life.